California already boasts the second-largest electric car market in the world after China—and it’s about to mushroom. The state is investing hundreds of millions of dollars into not only cars, but also into the next wave of electric vehicles: buses, trucks, forklifts, and all the other vehicles that make up our public transit and freight systems. But once we electrify everything that moves, how are we going to charge it? Today, California is taking the lead on that too. The federal government isn’t working on a national solution for charging the country’s electric vehicles, which means that it’s up to each state to take a hard look at its grid and figure out an electric vehicle charging plan for its turf. Three years ago, California got ahead of the game and directed its major utilities to plan for the missing piece of the puzzle and figure out how to charge the coming tsunami of electric cars, buses, and trucks. Today, after years of drafting this blueprint, the California Public Utilities Commission (CPUC) approved the largest single investment in charging infrastructure in US history. The $738 million investment, combined with the $300 million in zero-emissions VW “Dieselgate” funds approved last week, means California decided to go all in with a jaw-dropping billion dollars approved for electric vehicles in this month alone. 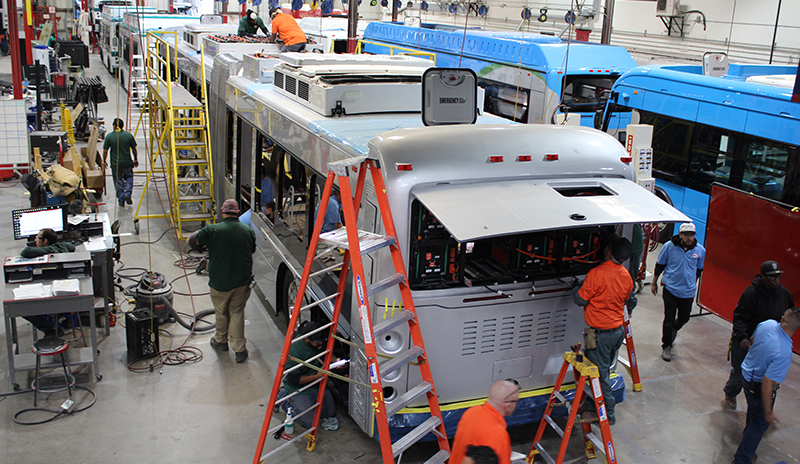 Workers assemble an electric bus at BYD's California facility. The new charging equipment and grid upgrade can’t come soon enough. The car industry expects to introduce 127 new battery-electric models in the next five years. Analysts predict that with falling battery costs, electric cars will be cheaper than gas-powered cars as soon as 2025. That means that a state already embracing electric vehicles will likely see demand spike. 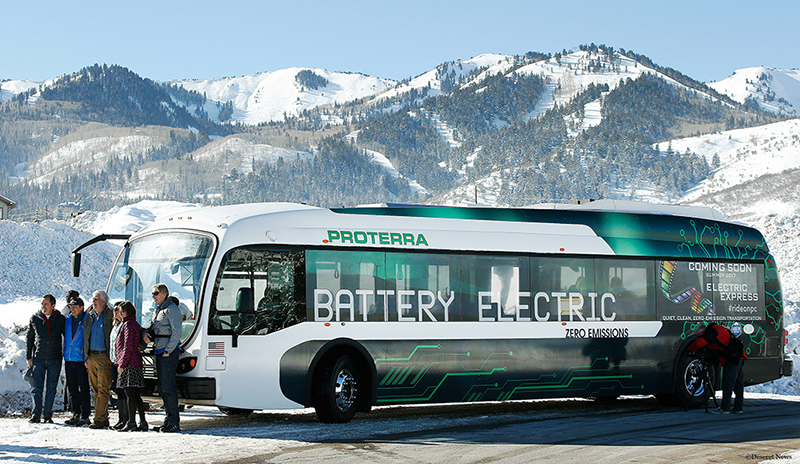 Meanwhile, California’s public transportation sector has an eye on the future, and is already making major commitments to transition to electric bus fleets. This month, SF Muni committed to a fully electric bus fleet by 2035 and began an electric bus pilot program, following in LA’s footsteps. California’s VW settlement funds are going to zero emissions electric port and public transit vehicles. Three major utilities serve most of California’s grid. Southern California Edison, which serves population-heavy Southern California and Los Angeles, is investing most of its $342 million into the trucks and port equipment that are major culprits in the region’s air quality crisis. 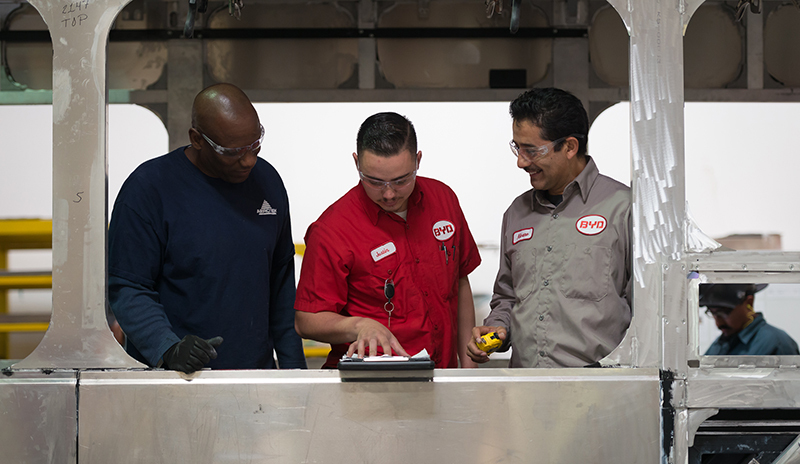 Pacific Gas & Electric, whose sprawling territory covers the Bay Area and most of Northern and Central California, is focusing its $269 million investment in charging infrastructure for buses and trucks. In addition, it has been approved to spend $22 million for fast charging for passenger vehicles. San Diego Gas & Electric is focusing first on charging cars, and will be investing $142 million into electric car charging equipment for San Diego residents. In California, the biggest breakthroughs in climate progress often happen when we focus on improving air quality, and today’s vote is no different. A large portion of the funding—$611 million across the state—is going towards the electrification of “medium and heavy-duty” vehicles, including trucks, forklifts and buses. These larger vehicles are some of the biggest contributors to the exceptionally high air pollution levels, both in the Los Angeles region and in the San Joaquin Valley. Earthjustice represented key partners East Yard Communities for Environmental Justice and the Center for Community Action and Environmental Justice, who pushed for the air quality relief they need in communities like East LA and the Inland Valley, where truck fumes push asthma rates up precipitously. Together, these organizations pushed for more funding for the communities suffering from the worst air and more support for school districts and transit agencies as they made the leap to electric buses. 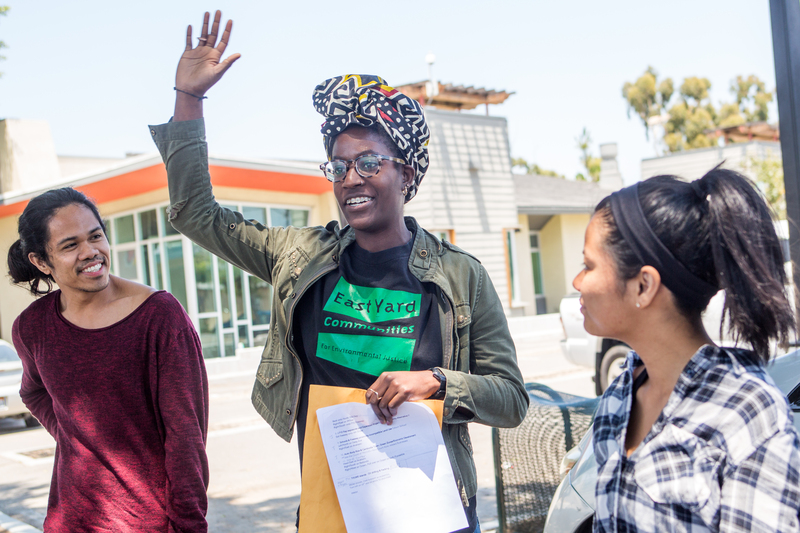 Taylor Thomas (center), a research and policy analyst for East Yard Communities for Environmental Justice, provided expert and personal testimony on the need for zero emissions vehicles in Southern California. They faced formidable opponents. The oil and natural gas industry, long accustomed to dominating the market, has lobbied hard to prevent zero emissions investments and to keep California addicted to fossil fuels. The natural gas industry has often marketed itself as a “bridge fuel” to better air and climate solutions, but in recent years they’ve fought to stall progress in California. They make the work of environmental justice advocates even harder by sowing misinformation (like a new “certified zero” campaign from the methane industry) and even seeking to slow down utility investments in vital charging equipment. 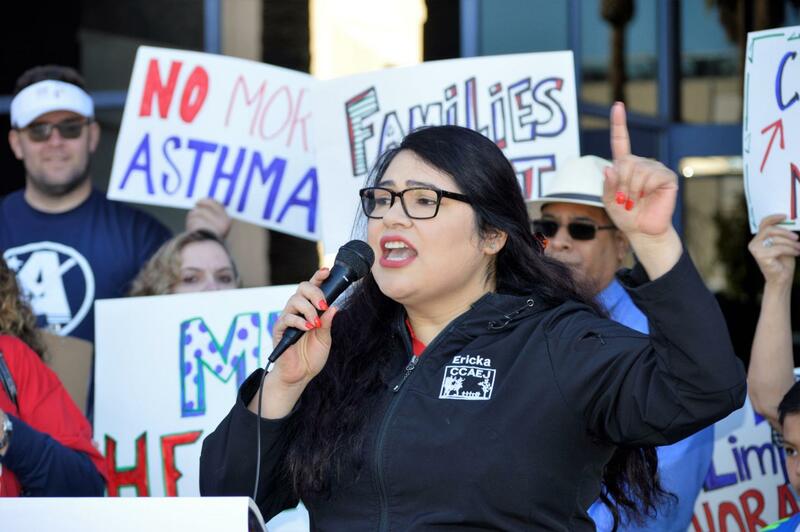 Erika Flores, a community organizer in San Bernardino for CCAEJ, testified about the need for zero emissions vehicles in the Inland Valley, which hosts large warehouses and distribution centers. It’s been a long road to get here. 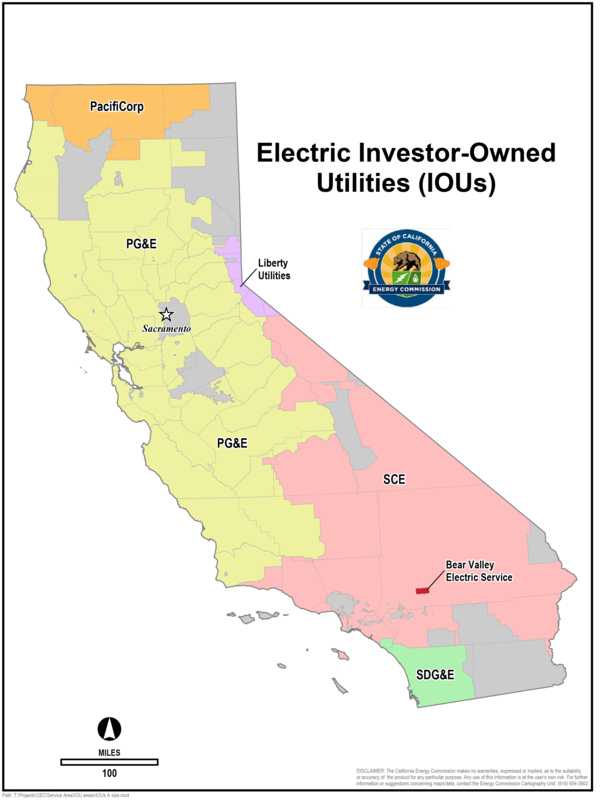 But the extensive work done by CPUC Commissioner Carla Peterman and her staff, in addition to the Administrative Law Judges and the commission staff at large, as they toiled for close to three years to plan California’s investor owned utilities’ path to electrifying everything that moves in the state should serve as a model for forging a new path for utilities. The hundreds of millions of dollars to electrify our ports, railyards, warehouses, and bus depots marks a critical moment in the fight for clean air. California is on the right side of history for our children, our lungs, and our communities—and the future is electric. – Adrian MartinezStaff Attorney, California Office.